Oliguria is a medical term for decreased urine output (less than 400 ml urine output in adults, less than 1ml/kg/h in infants and less than 0.5 ml/kg/h in children). Oliguria could indicate that there is something wrong in your kidney. 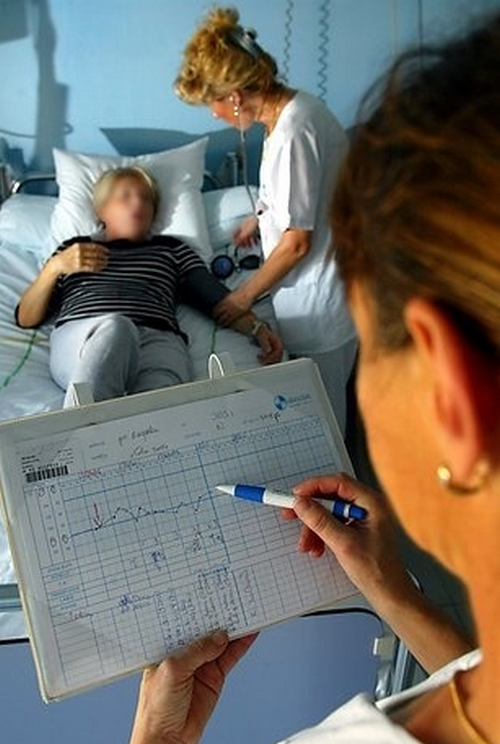 It is one of the criteria for diagnosing acute kidney injury/acute renal failure. 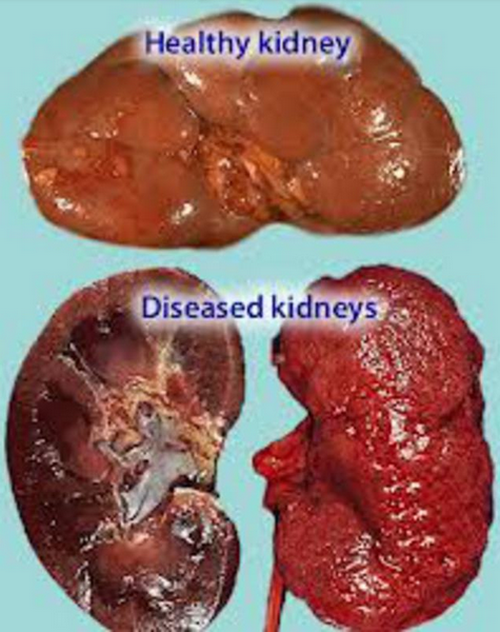 Acute bacterial infection – Some infections caused by bacteria can severely affect the functions of the kidneys. A perfect example is cholera. It is a bacterial infection in which the patient has dehydration secondary to loss of fluid and electrolyes. Other symptoms include excessive thirst, vomiting, diarrhea, weakness, rapid heart rate, and hypotension. Acute glomerulonephritis – It is characterized by fatigue, high blood pressure, abdominal pain, nausea and vomiting, mild fever, and pulmonary congestion. These symptoms can trigger oliguria. Cardiac-related problems – A significant decreased in cardiac output could lead to increased renal perfusion. The urine output decreases along with other symptoms like difficulty breathing, weakness, dry cough, rapid heartbeat, and peripheral edema. Hypovolemia – It is characterized by a decreased circulation of fluid in the body. Post-surgical response – Patients who undergone surgical procedure may sometimes experience oliguria as a body’s response to fluid and blood loss, fever, and dehydration. It could also be caused by post-operative drugs such as methotrexate and diuretics. Urinary obstruction – Some conditions can obstruct the flow of urine such as in the case of enlarged prostate. A decreased in urine output that has been going on for almost a week. You have bouts of diarrhea long with vomiting and high fever. To thoroughly assess the medical condition of the patient, the doctor will conduct a complete physical examination. The past medical history and past surgical history will also be obtained. To accurately diagnose the urine output, the doctor will ask for the time pattern of urination, when the condition began, how long has it been going on, and the water intake and output ratio. Urinalysis – This test is ordered to detect the presence of inflammation or infection in the bladder and kidneys. Urine culture – This is to detect the presence of bacteria in the urine. Intravenous Pyelogram – A dye is injected into the vein to check for kidney stones and tumor. Ultrasound – Used to detect cyst or mass in the kidney. Pelvic CT scan – It is ordered to view the kidneys pelvic, and abdominal organs. Cystoscopy – A flexible telescope is inserted into the urethra. It passes into the bladder to check for the presence of tumor and other problems in the lining of the bladder. The patient is sedated and put on a local anesthesia to remain comfortable during the procedure. Catheter insertion – A urinary catheter is placed to relieve obstruction. It facilitates accurate measurement of the urine output. A urinary catheter is included in the postoperative oliguria management. IV fluid – If the patient is severely dehydrated causing the urine output to decrease dramatically, the patient should be hospitalized and be given IV fluids. If oliguria is a side effect of a certain medication, then the drug should be stopped immediately. The nursing goal of treating patients with oliguria is more on the supportive and prevention management. The symptoms of the patient will be improved significantly. Any potential danger should be minimized and tracked the earliest time possible to avoid further complications. Monitoring of intake and output – Everything that gets in and out of the patient’s body should be monitored including the oral intake, urine output, vomitus, intravenous fluids, ice chips, and liquid medications. The urine output should not only be measured, but also insensible losses like sweat, diarrhea, nasogastric outputs, and wound drainage. Monitor urine’s specific gravity – The ability of the kidney to concentrate urine should be checked. A patient with renal failure has a urine specific gravity less than 1.010. It is an indicator that the kidney has lost its ability to concentrate urine. If you have been suffering from oliguria for more than three days, you should immediately seek medical help.